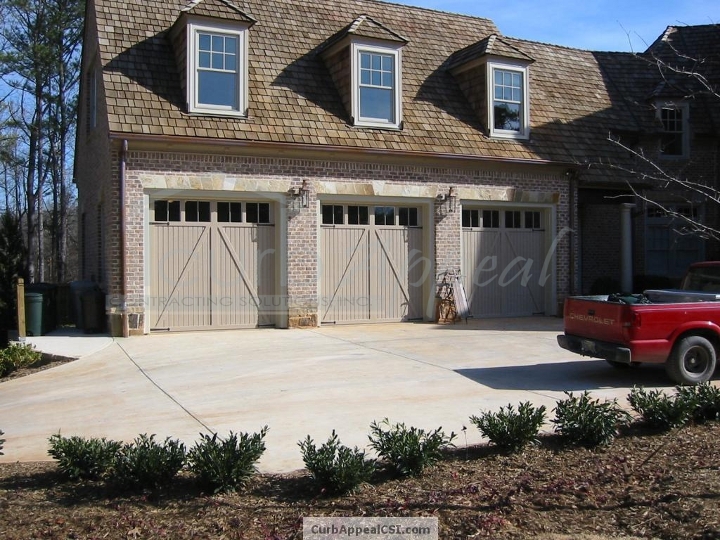 These custom made garage doors are painted and styled to match the home. They are insulated, wooden doors. We also install other types of garage doors.